A few weeks ago I was offered the chance to try the complete range of teas from Begu. The brand not only to a range of tea but also nutrition and fitness, including meal and fitness plans. But for now I'll just be focusing on their teas. The teas are all ethically sourced and and come in biodegradable bags, which is always important and contain 100% natural ingredients. You often see these so called "weight loss" teas around which are usually just laxatives (nice), and although Begu produce teas with weight loss in mind, they;re specifically tailored to certain lifestyles by their ingredients which I like. I'll talk you through their range of teas and give you a little round up of what I thought. I wasn't really interested in trying these to lose weight, I just wanted to try them for their taste and see if any of them made a difference to how I felt. Appetite - 28 teabags £19.99 - This one has the same appetite suppressing properties as green tea, I don't know how affective it is really but the taste of this one was great! The green tea taste is complemented by apple, liquorice and cinnamon. Crave - 28 teabags £19.99 - The aim of this tea is to satisfy your sweet cravings. Although it's not as good as eating a slice of cake...the sweet taste was really nice! It's made up of Sri Lankan black tea, cinnamon, coconut, stevia and other tasty natural ingredients. Calm - 28 teabags £19.99 - This calm blend is one of my faves, it does what it says on the tin and is made up of traditionally calming ingredients such as peppermint and chamomile. Not sure how I feel about the aim of drinking this instead of comfort eating...but having a hot cup of tea definitely makes me feel calmer. Morning Buzz - 28 teabags £14.99 - This one again does what it says on the tin and aims to give you a pick me up in the morning, I enjoyed drinking this when I woke up, the ingredients including Chinese green tea, lemon, ginger and lemongrass gave it a lovely sour and spicy taste. 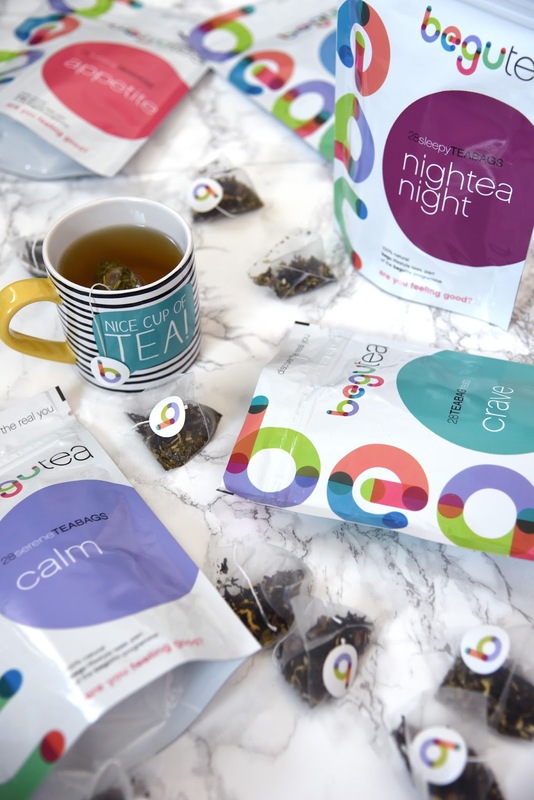 Nightea Night - 28 teabags £14.99 - This tea obviously is supposed to be drank before bed, I love having a cuppa before bed and this one really hit the spot, it's caffeine free and is blended to promote sleep. The ingredients include, cinnamon, ginger, hibiscus, apple and orange peel, this had a lovely fruity taste. System Cleanse - 14 teabags £9.99 - This tea aims to work as a cleanse over 28 days drinking the tea on alternate days, luckily this tea says that it's a laxative, which a lot of other "weight loss" teas just forget to mention. It's aimed at people with low fibre diets. I didn't give this a full trial but I enjoyed the taste rooibos tea, senna leaves, vanilla, dandelion and lavender are among the ingredients, it would be an easy tea to drink, whereas some other cleansing teas taste awful! These teas are on the pricey side but if you're looking to switch up you diet and are looking for teas for specific issues then I would recommend giving them a go, you don't need to nessecarily get the whole range. Obviously I can't really comment on the whole diet and fitness aspects of Begu, but their teas are worth a try!